Digitek, an Indian market leader in Photographic and Smartphone accessories, has launched the fast wireless charger with the model name DPWC 10 W for mobile or smartphones. The 10 Watt Wireless Charger performs a safer and more reliable wireless charging experience than standard Wireless Charging bases. This charger has an inbuilt QI technology that helps to lay your phone on the charging pad and go. 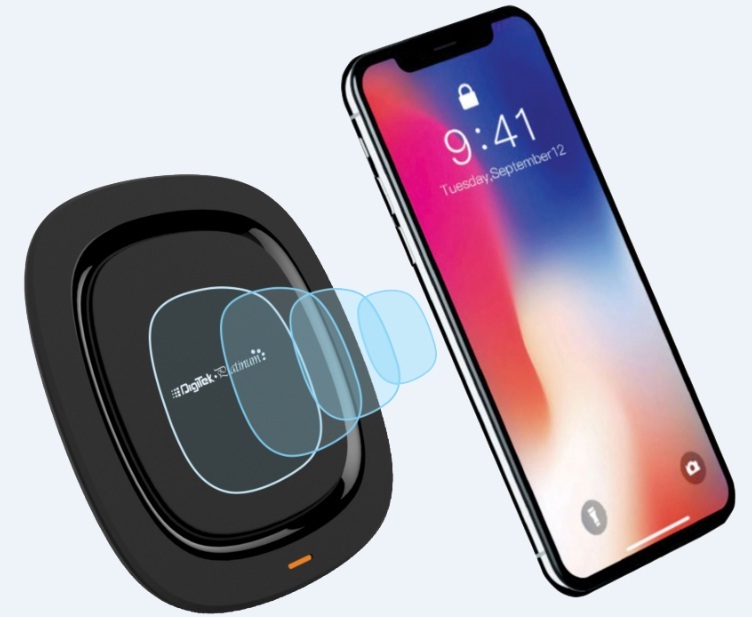 Would you like to know more detail about the latest Digitek Wireless Charger? If yes, please find mobile's wireless charger features and price detail. The charging pad has electromagnetic fields to power up the compatible devices on contact. Digitek DPWC 10 W wireless charger features like slim body structure, light weight, travel-friendly and can complement any environment. The LED light in the device signal you that the phone is correctly aligned on the base and charging. You would feel the most robust and protected charging experience. If you are looking for the latest and cheapest wireless charger then you have the subject gadget as an option in a reasonable price. Digitek charger DPWC 10 W price: INR 1495/- (Available at Flipkart, Amazon etc.). Tips: Cheap and best wireless charger for multi-purpose.